In the first part of our two-part series, we take a look at how you can tackle common communication problems in training companies with Administrate. One huge problem in any business which can cause massive inefficiencies that will affect your entire company is communication problems. Unless you spot a communication problem quickly, it can escalate and spread through different areas of the business and ultimately have a hugely negative effect on your business as a whole. When it comes to Administrate, we’re here to help solve as many of your training business-related problems as possible, and communication problems are just one of the things we can help you tackle with ease. Getting a good system in place to ensure your entire business communicates effectively is vital, and once you’ve established the best practises it will be easier for everyone to follow the process, hopefully meaning no further problems will arise. Let’s take a look at some of the most common communications problems that can crop up in a training business, and how you can use Administrate to deal with them. One problem which can crop up pretty easily is when different members of staff, or even different teams across the business, are working from the same document. First of all, sending around copies of documents can present a hazard, as staff may save the document to their computer, make changes, and then forget to forward this version on. If this happens multiple times, it may mean that people think they are working on the same document, but really everyone is using different versions, all with different content. There’s also the issue of staff members forgetting to use the ‘track changes’ feature on a program like Microsoft Word, meaning that people cannot see what changes have been made to the original piece, and therefore it may be hard to see how the original document has been altered, especially if it’s a particularly long and complex document. You may think that using online documents, in things such as Google Docs, may avoid this problem, but these documents can still be downloaded or track changes can still be forgotten. Administrate’s Document Management System (DMS) can make this whole process a whole lot easier. You can upload all your company documents into one place, and ensure that anyone who needs a copy of the document downloads it centrally from Administrate, rather than relying on other people emailing it over. Our DMS also has a revision history section, meaning you can see who the last person was to upload a newer version of the document, which will help everyone ensure that are working from the most recent version. You can use folders to organise all your documents as much as you need to, so nothing will be too messy, and you can even use permissions to make sure that only certain people have access to the documents that are appropriate for them. In your Sales team, it’s really important to make sure that you keep an accurate record of things like how deals are progressing, what sort of relationship you currently have with some potential customers, and who has been the main contact for each account. These details are so important, and not paying attention to them could end up blowing a deal or severely denting a client relationship. 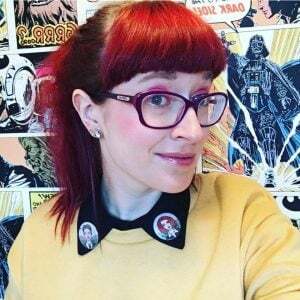 Imagine contacting a potential customer to try and get them to buy with you, when it turns out another member of the Sales team is already in the process of closing the deal? This will not create a great impression with your contact, as it will be clear that you don’t communicate internally. Even worse, you could try to contact someone who currently has a quite fragile relationship with your business, and if aren’t prepared for this, and don’t know how to deal with it effectively, you could end up losing them as a customer. But how are you supposed to keep track of all this information? It can be tempting for individual members of the Sales team to keep their personal records of people they have spoken to, and how their own deals are doing, but your Sales team need a better level of transparency than this if you want to remain successful. The best way to deal with this problem is to get a centralised CRM that everyone uses, making sure this is the only place they enter data into, and reference customer data from, to ensure consistency. Using an online CRM like this will also mean that any changes that are made to a client contact will be updated instantly, so you can always be sure that you are looking at the most up-to-date version of a contact’s records. Not only does Administrate have a CRM built into our software, but it also means you can use all the information stored in your CRM across the rest of Administrate, so you don’t need to enter the same data multiple times into different systems. When staff leave your business, or even just when they go on holiday, it’s so important to have a good handover system in place to make sure that the tasks they usually take care of are completed seamlessly, even when they’re not there. However, even with the best of intentions, some information can still be forgotten. Perhaps a vital document is still saved on someone’s personal computer, so no one else can access it. Or maybe clear instructions were not left as to what information is stored on which system, which can lead to a lot of wasted time while you look for the exact information you need. Using a system like Administrate can really help you deal with these issues. First of all, all your documents and information are only stored in one system, instead of scattered across different systems and other people’s computers. This should mean that everything that anyone needs access to is easy to get at, and everyone will know exactly where to look rather than wasting time searching multiple places. You can also use our team knowledge base to set up handover documentation, which will set out exactly what you want the process to look like. This will then be stored centrally, so everyone can see it, and know what is expected of them. As a training provider, making sure the details of all your classes are completely accurate and up to date is really important for everyone in your business, as well as your customers. 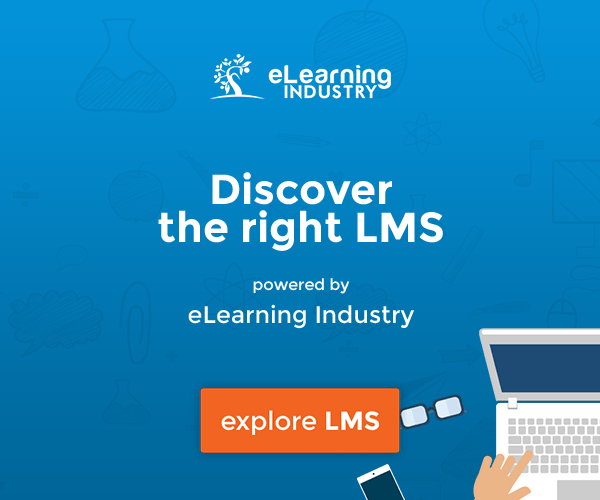 Booking resources – It’s important your entire Training Administration team knows if any changes have been made to classes, as they may need to move resources around, or the resources they need may end up being double booked because of the change, and this would require additional time to sort out. Tutors – Tutors obviously need to know when classes have been changed, as they need to know which classes to be prepared for, which books etc. to bring with them, as well as making sure they’re actually in the right location at the right time for the class they are teaching. Website listings – It is vital that your website and your class list are always displaying the same information, otherwise things could get confusing. Your Training Administration team will have their class list, but if the website isn’t updated at the same time, your students will not see the changes, and may turn up to the wrong class, or even purchase a place on a class that they aren’t able to actually attend. When you make any changes to your course listing within Administrate, these will automatically be pulled through to your website if you use our software to list your courses online. This means there will never be any confusion, and you don’t have to enter your data twice on two different systems – everything is updated in real-time. When you make changes to any of your courses you can use Administrate to automatically email any students who have already purchased a place on that course, as well any teaching or administration staff which are assigned to the course, to make sure everyone involved is aware of any changes. If you do need to make changes to classes in Administrate, and you have things like resources assigned to that class, Administrate will make you aware if you are trying to do something like double book a room or a resource so you don’t end up being left short. Stay tuned till next week! Come back next week to read part 2 of our How to Tackle Common Training Communication Problems with Administrate series! See All The Ways Administrate Is Amazing! 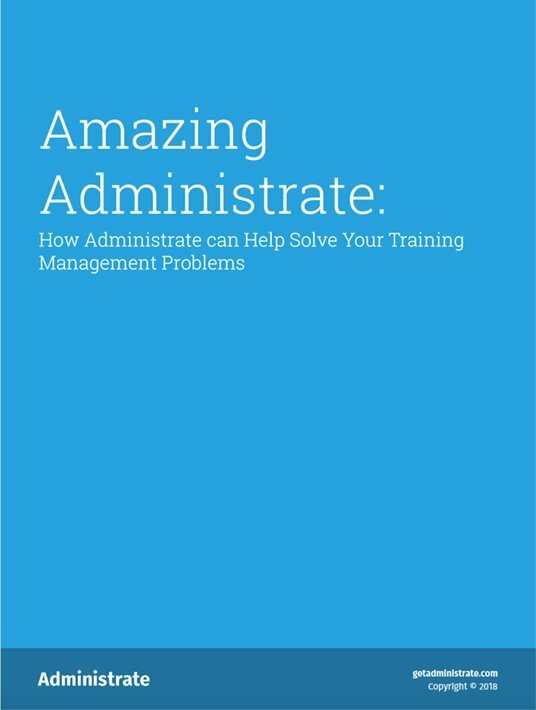 Download our free eBook Amazing Administrate: How Administrate Can Help Solve Your Training Management Problems, which includes this article and some of our other favourites, which show all the ways Administrate can work our magic and help training providers run their business better.